MOTA Edibles – Buy Online with Hoot Supply Co. These Blastin’ Blue Raspberry Sour Belts contain the most delicious 150mg of edible THC goodness the planet has to offer! 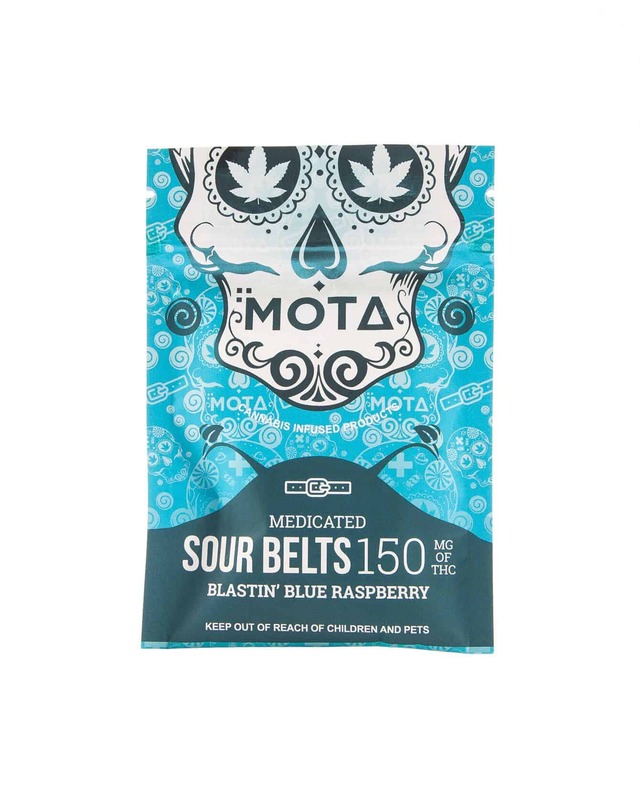 These mouthwatering Sour Belts are one the newest editions to the MOTA Edibles product line. They deliver a kick of cannabis that is sure to make you pucker with sour/sweet joy. All MOTA edibles are infused with premium THC extracts made from high quality flowers. Made in Victoria BC. Canada.